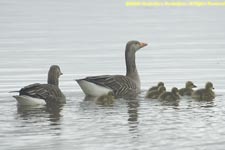 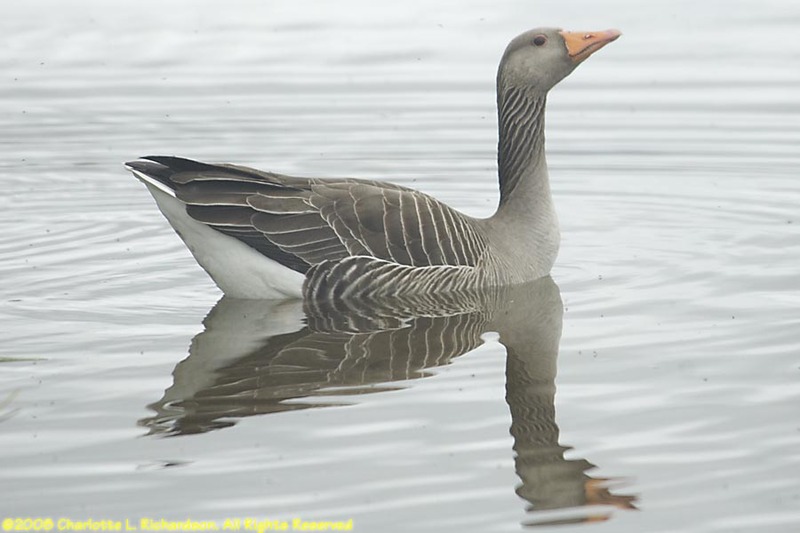 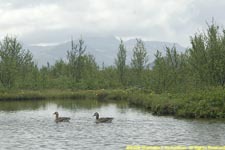 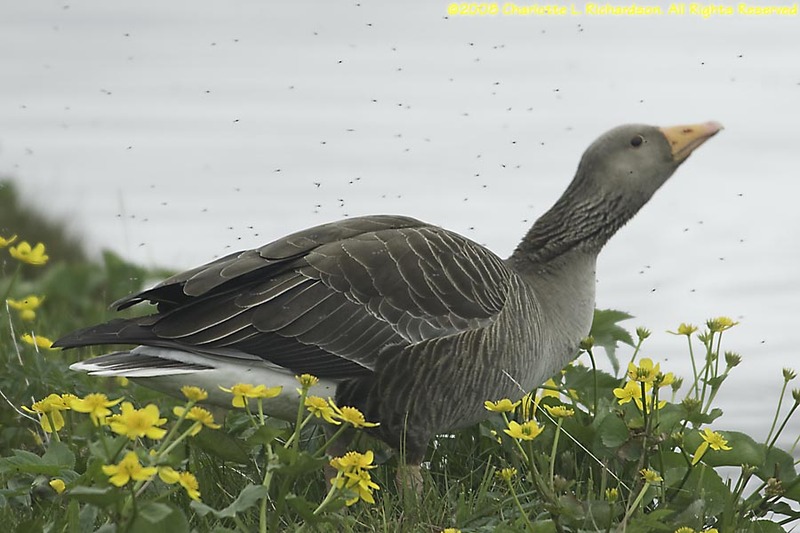 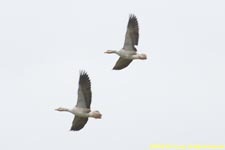 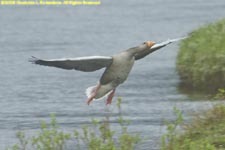 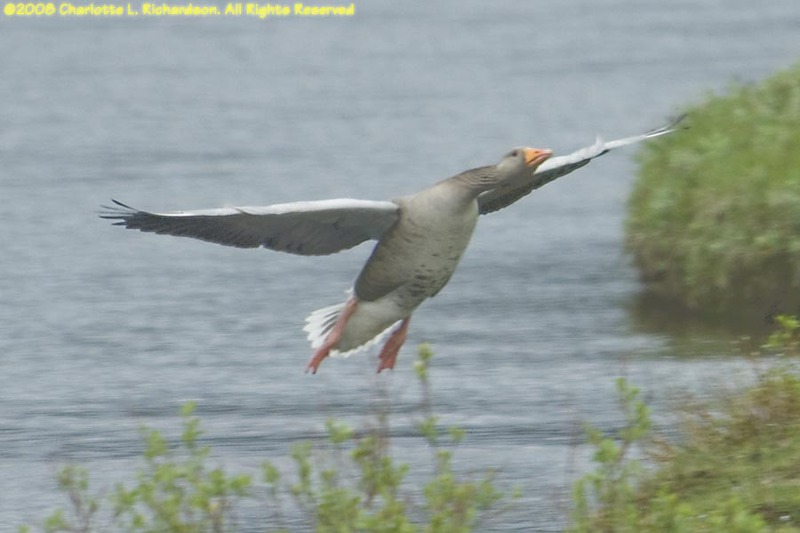 Greylag geese (Anser anser) are the largest geese that breed in Iceland. 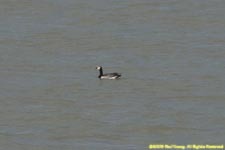 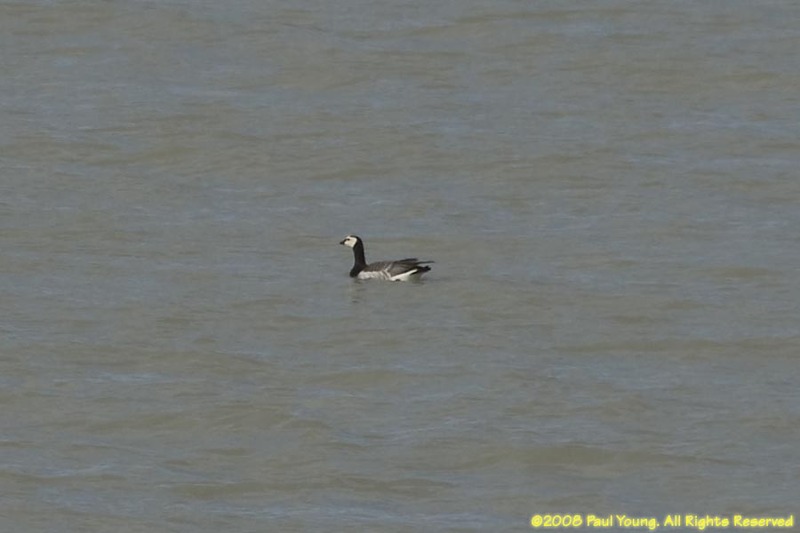 Barnacle geese (Branta leucopsis) pass through Iceland in spring and fall en route from their breeding grounds in Greenland to their wintering area in northern Great Britain. 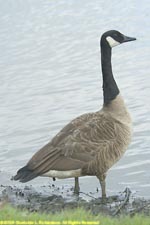 Canada geese (Branta canadensis) visit Iceland in spring and autumn.